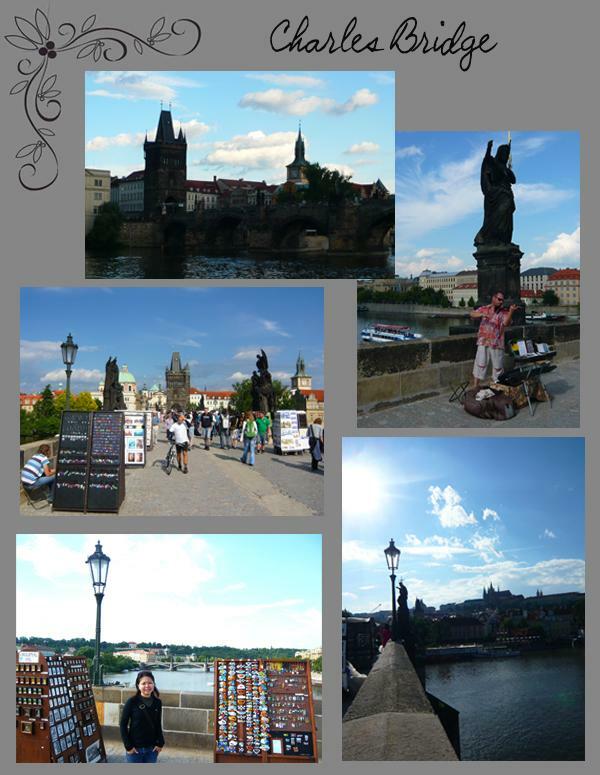 Charles Bridge (Karlov Most) is a famous historical bridge that crosses the Vltava river in Prague, Czech Republic. Back in medieval times, this was the main pedestrian route linking the Old Town with Mala Strana, and then onto Prague Castle. The bridge is decorated on each side by 30 baroque statues, one of which is said to be able to give you good luck. Read on to find out which one. During the night Charles Bridge is a quiet place. If you want to experience the bridge at its most atmospheric, try to visit it at dawn. Because during the day by 9am, it becomes a 500m-long fairground, with an army of tourists squeezing through a gauntlet of hawkers and buskers. Pickpocket gangs work the bridge day and night, so keep your wallet and purse safe. 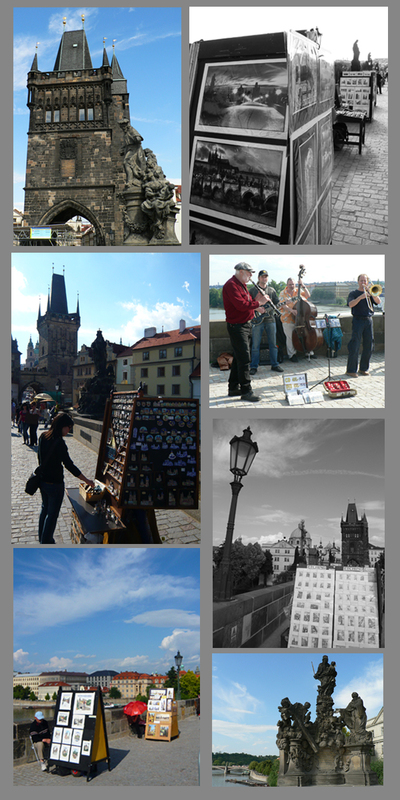 See the various stalls and busker performance along the bridge..
One of the most popular statue on Charles Bridge is the Statue of St John Nepomuk (also referred to as Jan Nepomucky). 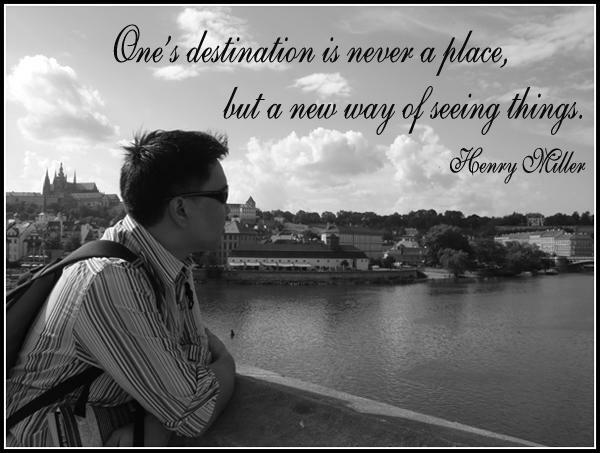 It is the 8th statue on the right hand if you are heading from Old Town Square towards the Prague Castle. An easier way to identify it is by the shiny-like-gold spot on the bottom of the statue. John of Nepomuk was a priest in Prague under King Wenceslas IV (son of Charles IV). The Queen made a confession to John of Nepomuk. Unfortunately for him, the King being a very suspicious man, pressed John of Nepomuk for the Queen’s confessions which John of Nepomuk would not reveal, not even to the King, because it would be against his commitment of confidentiality. John of Nepomuk was therefore executed by being thrown into the Vltava River from the bridge and drowned. 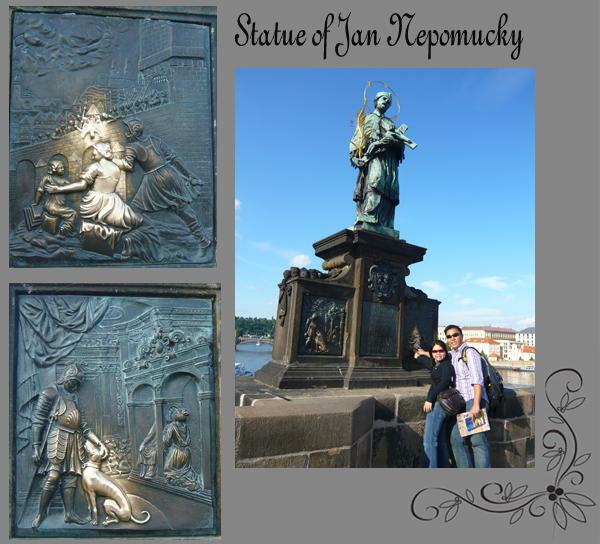 What to touch on statue of John of Nepomuk for luck? The plaque on the statue of John of Nepomuk had been polished to a shine by many people who had touched it over the centuries. Tradition says that if you rub the bronze plaque (the one depicting St John being thrown off the bridge), you will one day return to Prague. Thank for the information I just returned from Prague one my questions was what was going on with people touch certain statues.